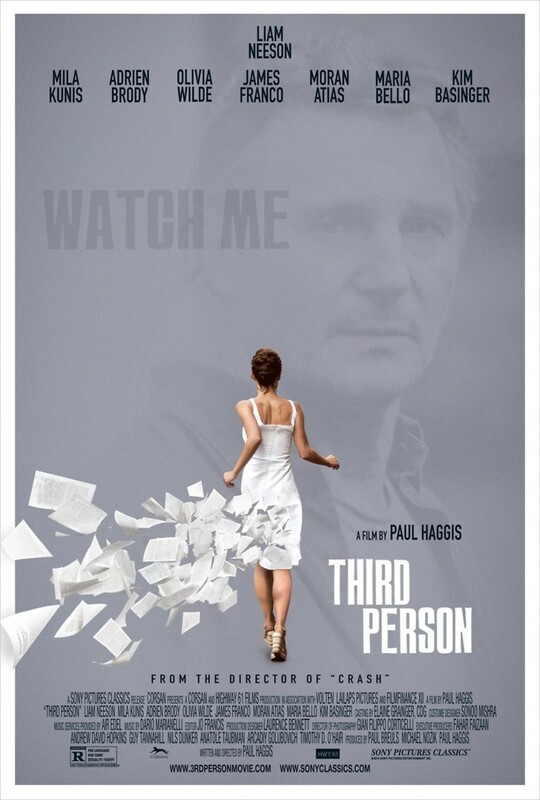 Third Person DVD and Blu-ray release date was set for September 30, 2014. Three couples in three different international cities look for love, but also deeper meaning in interpersonal relationships. As they strive to find the perfect partner, they also struggle with inner demons, fears and life challenges. The story shifts between Rome, Paris and New York City. What is the meaning of life? Why are we here? Who is the perfect person for me? The characters are beautiful and successful but they all seek those more profound meanings that give life and relationships true texture and value.